Spring is here and it’s time to make a carrot cake for Easter! 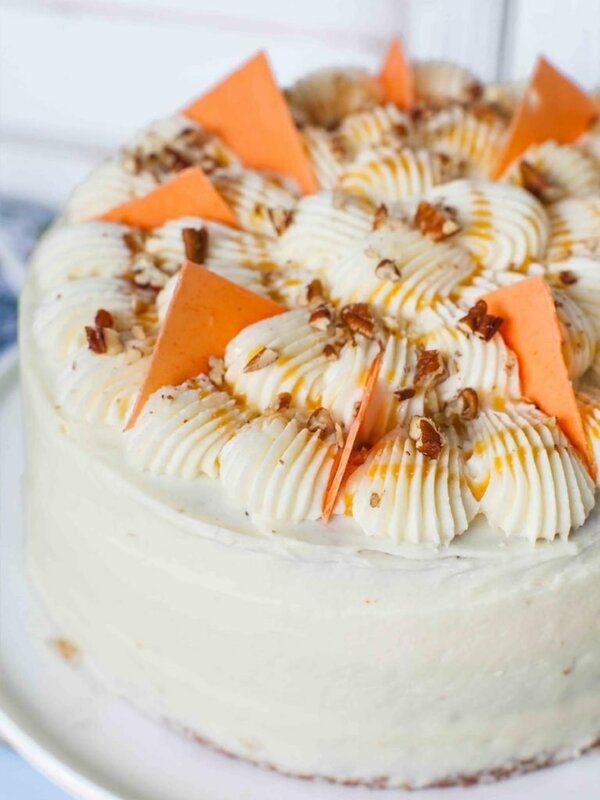 This incredibly moist carrot cake recipe is made with pineapple, pecans and my ‘Cream Cheese Frosting’. Every bite is bursting with incredible flavor from the pineapple and carrots – both of which add moisture and texture. I also like to add a bit of warming spices – cardamom, cinnamon and nutmeg. Garnish the cake with a bit of my home-made caramel sauce, chopped pecans and orange chocolate garnishes. 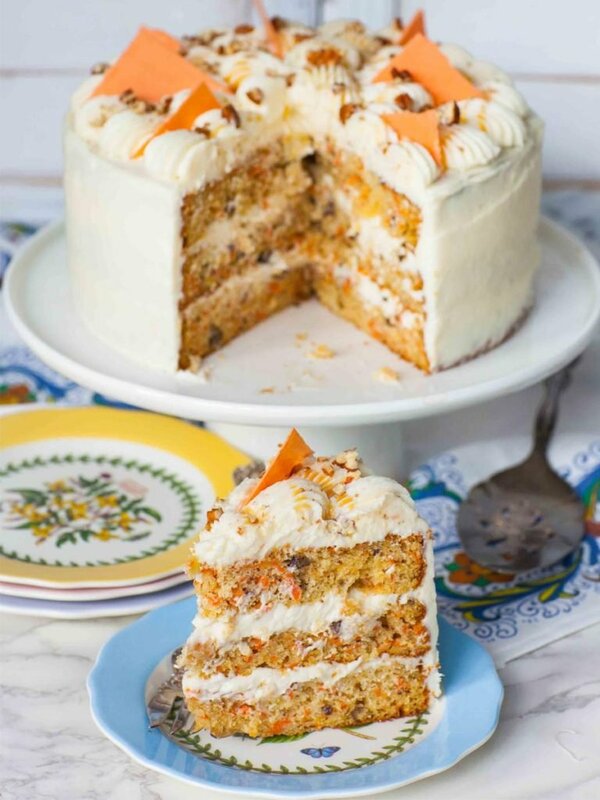 Carrot cakes have long been synonymous with Easter and this cake is no exception – it’s perfect for the spring time holiday! 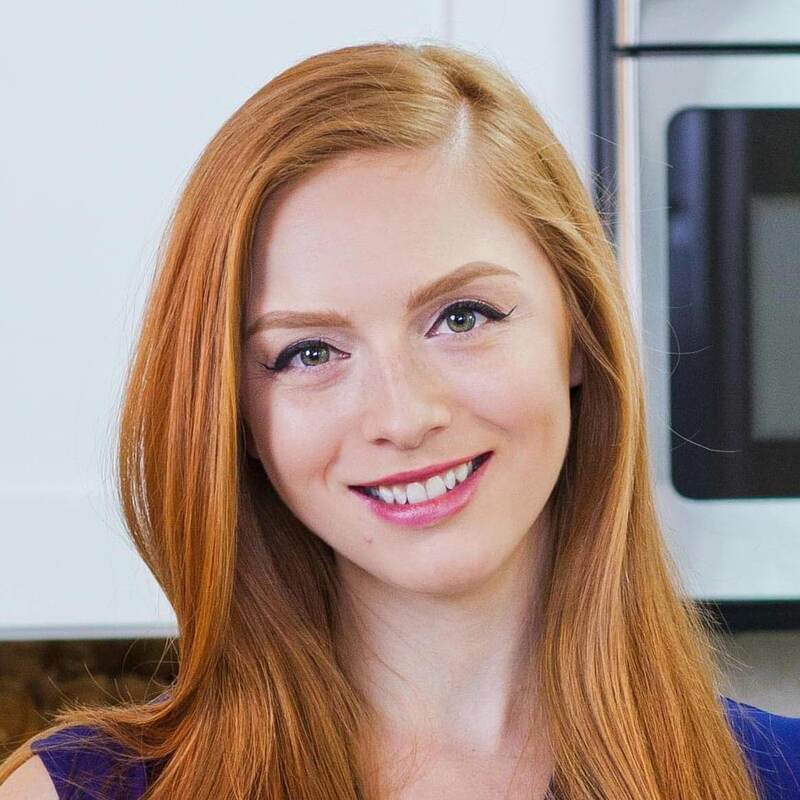 Watch my video for step-by-step instructions and learn how to make that beautiful piped top! Want to receive email updates for new recipes? Make sure to subscribe to my YouTube channel and turn on notifications! 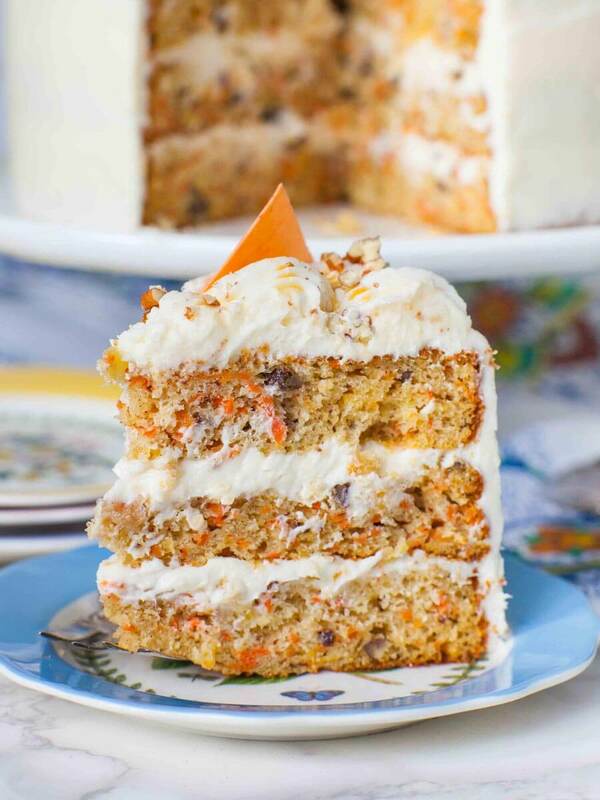 Carrot cakes are all about moisture, texture and flavors! The secret is actually a combination of ingredients – canola oil, pineapple and of course, carrots. Using canola oil instead of butter makes for a thinner batter, which makes the cake a bit of dense. The pineapple adds both flavor, texture and moisture into every bite and the grated carrots add a bit of sweetness and texture. 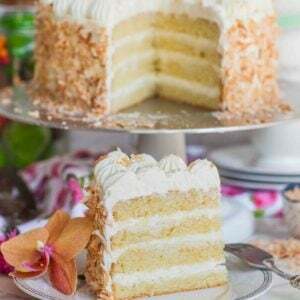 The moist texture of this cake means it can stand for longer in the fridge without going dry. If you’re making this cake for Easter, it should be just to make it a few days ahead of time. I finished the top of this cake off with beautiful dollops of frosting, using French star tip #8; check out my product links below for a set of cake decorating tips that I use. I also added chopped pecans and drizzled some of my home-made caramel sauce, which adds great flavor (check out the video recipe)! For the orange chocolate triangles, I added a bit of powder orange food coloring to white chocolate melts and used my technique for making garnishes, like these. Enjoyed the recipe? Share and save it to Pinterest! 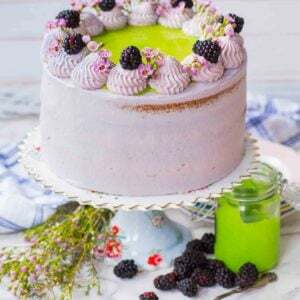 Looking for more spring time dessert recipes for the Easter holiday? 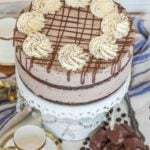 Try my ‘Lavender Chocolate Pavlova’ for a uniquely flavored dessert! One of my favorites – this ‘Strawberry Kiwi Trifle Cake’ is dome-shaped and so delicious! This set of jumbo cake decorating tips has all my favorite tips for decorating cakes! Use them with these disposable pastry bags for easy cleanup. For a smooth finish, use these off-set cake spatulas and this cake scrapper. 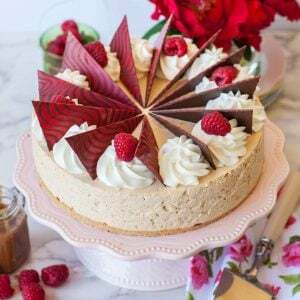 I love my classic Ateco turntable for cake decorating – a must for every baker! I use these aluminum round cake pans for all my cakes. Preheat the oven to 350F/177C and line three, 8-inch/20-cm baking pans with parchment paper. If using just 2 pans, increase baking time! In a large mixing bowl, combine the oil, eggs, sugar and vanilla. Mix together on high speed for 3 to 4 minutes until the mixture is smooth. Add the buttermilk and mix again for a minute. In a separate bowl, combine the dry ingredients: flour, baking soda, baking powder, salt, nutmeg, cinnamon and cardamom. Sift the dry ingredients into the cake batter, then mix just until the flour is incorporated; do not overmix. Add the crushed pineapple, pecans and carrots last; stir with a rubber spatula to fold the ingredients into the cake batter. Divide the cake batter evenly between the prepared pans. Bake in preheated oven for 28 to 30 minutes, until a toothpick inserted into the center comes out clean. 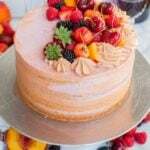 Allow the cake layers to cool on a wire rack before frosting! 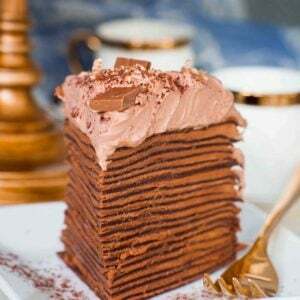 Once cake layers have cooled completely, use a long serrated knife to level the tops, if necessary. 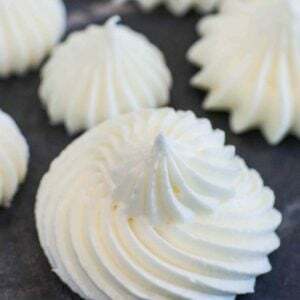 Prepare a batch of my 'Cream Cheese Frosting'; linked above. Spread a generous amount of frosting between each layer, then smooth the frosting over the top and sides. Transfer any remaining frosting and garnish the top with dollops, using French star tip #8. 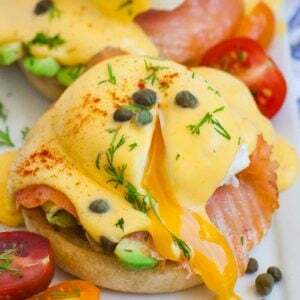 Watch my video recipe to see how I did it. If desired, garnish the top with caramel sauce, chopped pecans and orange chocolate garnishes. 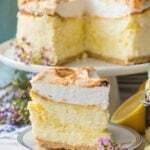 Keep cake refrigerated; remove at least 30 minutes prior to serving. Cake will stand in the fridge for 3 to 4 days. Tatyana, I believe I have seen some of your recipes with metric conversions. But apparently you don’t do that all the time? I would love to make this cake, but I am in Germany so would appreciate metric measurements with weight. The cake looks like a real proper carrot cake, so perfect for Easter! Hi Jenny! I’ll get the metric measurements up in a few minutes, just for you! 🙂 It’s the perfect cake for Easter! Tatyana, you are a doll! 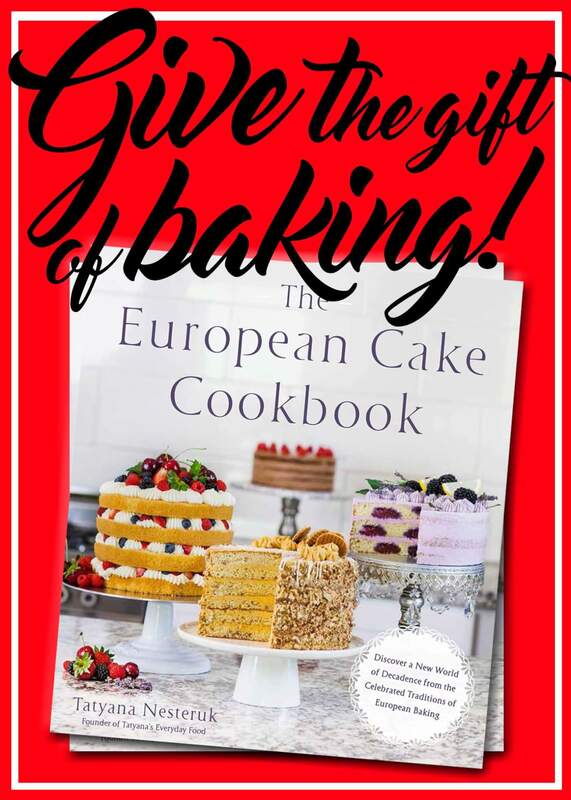 Now I feel like I HAVE to make this cake asap! Thank you, thank you, thank you! I really like how you show us the simplicity of baking. This cake will look like I’ve been slaving away for hours, it will impress my friends….LOL! Hope you’re feeling good, take care of yourself.